All things considered, we're pretty upfront about the fact that we're whiskey people. (We've gone so far as to name our site after our favorite variety, in fact.) But every once in a while we encounter some non-whiskey item so compelling, so complex, that we waver in our once-unwavering support of All Things Whiskey. 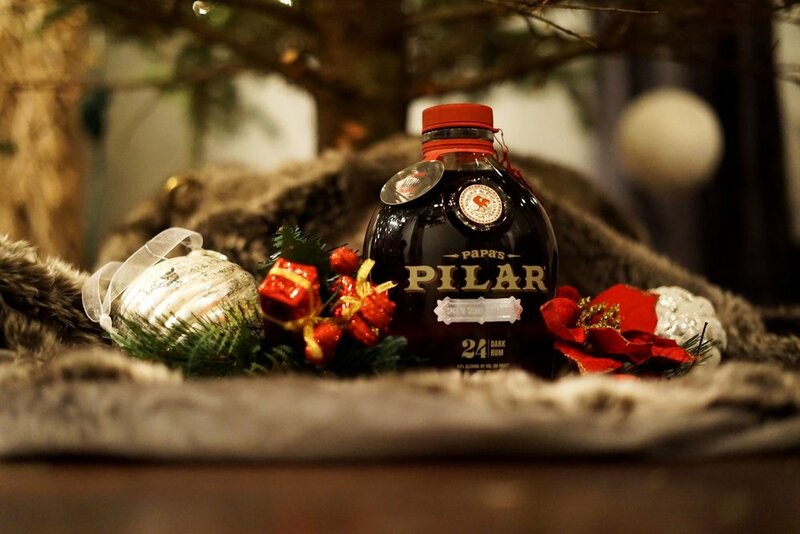 Papa's Pilar's limited-edition sherry finish rum is one such find. With a rich, bold taste unlike any other rum we've encountered (and, for whiskey people, we've encountered a lot), it's a force to be reckoned with. But a rum this unusual doesn't happen overnight. After being aged in Bourbon barrels, Port Wine casks, and Spanish Sherry casks, this special-edition release is further aged in Spanish Oloroso Sherry casks to create an even more unusual final product. The result is something supremely sippable, with more in common with your favorite whiskey than the typical rum you might be spiking your punch with this holiday season— in fact, the process itself was inspired by the methods used to make Scotch. Is it enough to get us to change our whiskey ways? Will we be writing under the moniker Rum & Rivet anytime soon? Well... our lips are sealed. Check back in with us in January. In the meantime, this stuff is going on the special shelf away from barcart-bingeing holiday guests. With only 1,400 cases available, it's too good to waste. Learn more here, and keep up with the latest availability here.